Here at Casey ARC we are a Watch Around Water Centre. Watch around Water is an education and public awareness raising program to address the growing concern regarding supervision of young children at public swimming pools. The parent or carer needs to be within arms reach of the child at all times. The parent or carer needs to be actively supervising their child at all times. The child will be given a green wrist band when casual swimming. 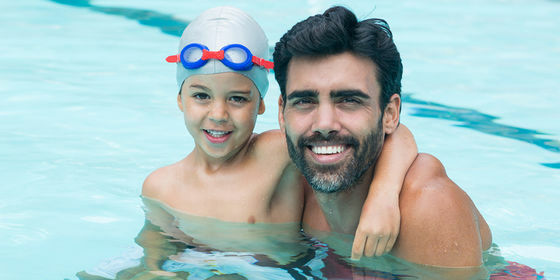 The parent or carer needs to be aware of the child's swimming ability and supervise them accordingly. During September, we are running a Watch Around Water awareness campaign. Come into Casey ARC and sign our petition showing you support watching your children around water.